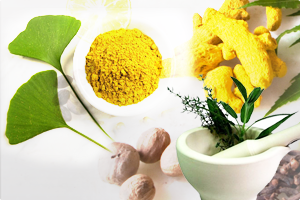 In the previous blog, we took a glance on 10 dietary rules described in Ayurveda. Today we shall know in details about the first rule. Ushnam ashniyat means, one should always eat freshly prepared hot food. Ushna – hot and ashniyat – to eat. The fact that food should not merely be hot but also cooked fresh. Eating fresh and hot foods enhances the taste of the food and also pleases the senses. Freshly cooked food retains all the nutritional values of the food, which is otherwise lost in the ready to serve, canned and processed foods. Hot food kindles the digestive fire (Agni), which in turns – fastens the digestion and provides necessary nourishment to all the dhatus of the body and maintains the balance of tridoshas. Healthy Agni is one of the sign of long and healthy life. Vatanuloman – hot food as mentioned prior, helps to undergo proper digestion of food, thus maintaining dosha balance, and ultimately controls the movement of vata, facilitates easy elimination of stools, urine and wind. Disturbed movements of vata is the key to many vata disorders, like bloating, pain in abdomen, chest, backache, constipation, joint pain, etc. Consuming hot foods also absorbs excess kapha produced during the digestion process, and also pacifies kapha disorders as the hot property of food nullifies the cold potency of kapha. Eating cold food increases kapha, cold foods are comparatively heavy to digest. In countries like India it is not very new to cook food everyday, but with busy work schedules, and various food fads, have grown the culture of ready to eat food, processed and refrigerated foods. Plan your other work accordingly and spare some time for your cooking, as food is our basic necessity for survival. Carry food in well insulated bags. I agree that it is not always possible to cook and serve hot food everywhere, but the least you can do is, cook your food daily atleast every morning, don’t precook the veggies for 2-3 days and refrigerate. Refrigeration doesnot visibly spoil the food, but only slows down the process of food decomposition. Yes eating roti’s is healthy, but Kneading the flour for a week together, not only spoils its taste and decreases the nutritional value but also exerts load on digestion. Warm the food before having it, shrug off the laziness and stop having cold food directly from the fridge. When you have to warm the food, make sure you bring the food to room temperature before warming it. Just because you need to have warm food, don’t reheat the food many times as this can also decrease the nutritive value of the food. 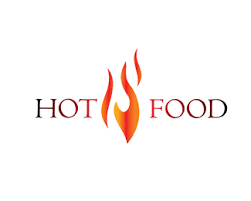 There are also some exceptions to have very hot food, as in bleeding disorders, pitta body type and pitta associated diseases, hot climate, etc. but these are diseased conditions. Afterall our body is the best guide, it always demands the right things as and when needed. It is us who ignore its demand and choose what we want. So next time when you are hungry, have hot food. Stay fit stay healthy…..